Bringing a higher level of dental care and caring to Southern California communities. 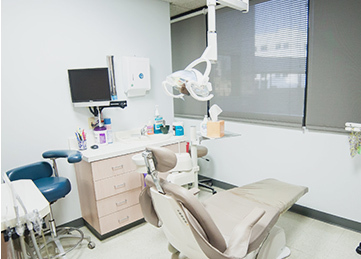 In 1991, a group of dedicated dental professionals saw the need for quality and multi-specialty dental care in many communities throughout the greater Los Angeles area. Their vision was to open state-of-the-art dental care practices that would combine the highest standard of care, the latest technologies, and the services of talented general dentists and specialists to meet the needs of the communities they serve. Today, that vision has become a reality. West Coast Dental and its affiliated practices have many convenient locations to serve you with an unparalleled level of expertise, service, convenience, and care. Inside of these practices, general dentists and specialists work side-by-side with their friendly, well-trained associates to ensure their patients get the most appropriate care and a high level of personal service. World-class care and caring is right around the corner at a West Coast Dental affiliated practice; Southern California’s friendly neighborhood dental experts. Our mission is to provide exemplary dental care in a state-of-the-art facility that provides the most comfortable and relaxing environment with great affordability and excellent value. We treat our patients the way we ourselves want to be treated – with compassion and integrity. We utilize proven, advanced technologies and efficient systems. Our dentists and team are knowledgeable, respectful, detail oriented, caring and very personable. In addition, we take special interest in helping the fearful or sensitive patient, who may have had difficulty before and may be avoiding dental treatment because he or she has been hurt elsewhere. Commitment to our pateints’ comfort. Dr. Peggie Chen is a long time resident of Arcadia. She grew up in Arcadia and attended Highland Oaks Elementary, Foothills Jr. High and is also an alumni of Arcadia High School. She received her Bachelor of Science in Molecular and Cellular Biology at UC Berkeley and Dental Degree from Columbia University. With over 12 years of professional dental experience, Dr. Chen is highly experienced with all facets of dentistry from deep cleanings to root canal therapy treatments to cosmetic dentistry. She is deeply committed to her patient’s dental health, taking time in her consultations to thoroughly examine and educate her patients. Dr. Chen has practiced in Arcadia for over 10 years and now she is continuing her passion for dentistry with opening a brand new state of the art dental practice in the city that she loves. In her spare time, Dr. Chen enjoys traveling, and spending time with her beautiful family. Dr.Chen is a considerate and thoughtful dentist serving the community of Arcadia, CA. Dr. David Tsai is a native of Southern California. He graduated from UCLA in 1996 with a degree of Psychobiology and from NYU College of Dentistry in 2002. After dental school, he went on to join a General Practice Residency program at Wyckoff Heights Medical Center in Brooklyn, NY. Upon graduation, he took on a teaching position at the same hospital as an attending doctor and also practiced in New York City for several years. He moved back home to sunny Southern California back in 2010 to be closer to family and friends while also starting his own family. Dr. Tsai enjoys spending time with his wife and daughter, golfing, playing tennis, scuba diving, and staying in shape at the gym. Dr. Tsai has been practicing dentistry for 14 years and stays up to date with the latest technologies. He strives to deliver the best in gentle and effective patient care. He is a member of the American Dental Association (ADA), California Dental Association (CDA), and the San Gabriel Valley Dental Society (SGVDS). In caring for my patients, I try to be as conservative as possible in determining how much tooth should be removed, while at the same time ensuring that it remains functional and aesthetic. I also stress the importance of gum and bone health, which is the backbone of functional and aesthetic dentistry. I believe dentistry, when done right, is a science as well as an art — a marriage of form, function and aesthetics. Contact person: Peter Young, D.D.S. Your smile’s integrity is based on optimal oral health, excellent dental care, and the beauty that comes from taking an interest in your image. Dr. Canzoneri and his staff will become your smile care team, sharing the information and providing the comfortable, quality clinical care you deserve. 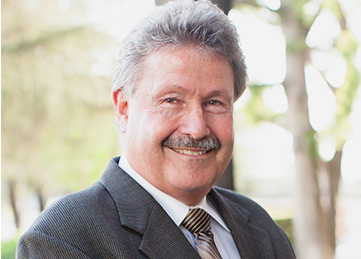 Dr. Jacobsen is a graduate of the UCLA School of Dentistry and has been serving patients at his Arcadia dental practice location for over 22 years. Born and raised in the San Gabriel Valley, he moved to Arcadia in 1977 and has since been an active member of the community. He has raised three children with his wife, Karen, in the same community in which they both work. Dr. Jacobsen strongly believes in developing a partnership with his patients in order to achieve optimal dental health and appearance. He and his staff are a kind and committed family of highly trained, artistic dental professionals who provide their patients with exceptional quality dental care. He promotes and delivers services in a comfortable, safe, relaxing, and balanced environment, and produces work with integrity, honesty, and pride. In return, his patients responsibly maintain their dental care for long-lasting health. In addition, Dr. Jacobsen is committed to continuing education and staying abreast of the latest advanced techniques in the field of dentistry. He attends numerous courses above and beyond what is required by the State of California so that he can better serve his patients with the latest developments in dentistry. Contact person: Evan Scott King, D. D. S.